Small-group Training: Are You Ready to Take the Leap? In an effort to help you more efficiently earn continuing education credits while you explore Certified, you can now take the quiz as you read. Get the latest, science-based information while you earn 0.2 CECs. 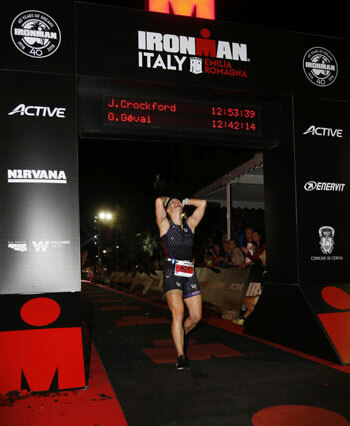 For ACE Exercise Physiology Content Manager Jacque Crockford, becoming an Ironman was a lifelong goal. With her knowledge of endurance training and experience as a long-time triathlon coach, she reached the finish line. If your clients want to take their endurance goals to the next level, this two-part series describes the preparation and factors involved in training for, competing in, and recovering from an Ironman. In Part 1, Crockford describes the key aspects of her preparation and training program and the team of experts she enlisted along the way. Before embarking on a journey like training for an Ironman, many questions run through an athlete’s mind. How will I train for it? What do I eat? And, of course, can I do this? Or, in my case, can I do this again? When I decided to do a second Ironman, I wanted to take all my knowledge as an ACE Certified Personal Trainer and triathlon coach to create a personalized plan based on science and apply it to my own body to reach my goals of setting a new personal best. In this two-part series, I describe in detail exactly how I did it. An Ironman distance triathlon consists of a 2.4-mile swim, 112-mile bike ride, and 26.2-mile run, all completed back to back, on the same day, with a general race cut-off time of 17 hours. The first time I took on this challenge was in 2015. Although I had been racing triathlon for years, jumping up to the full Ironman distance was a new adventure and I wasn’t sure what to expect. The race didn’t go quite as planned that year, with a desert monsoon occurring at mile 35 on the bike and lasting the next 5 hours or so, but I finished with time to spare at 15 hours and 10 minutes. My next race goal was to decrease my time in each leg (swim, bike, run), with a stretch goal time of less than 13 hours. I also wanted to feel better during the race, both physically and mentally. The first question I asked myself was how to integrate the necessary training with the rest of my life. I have a full-time job as well as several volunteer responsibilities and a social life I didn’t want to neglect. How would I make it all work? 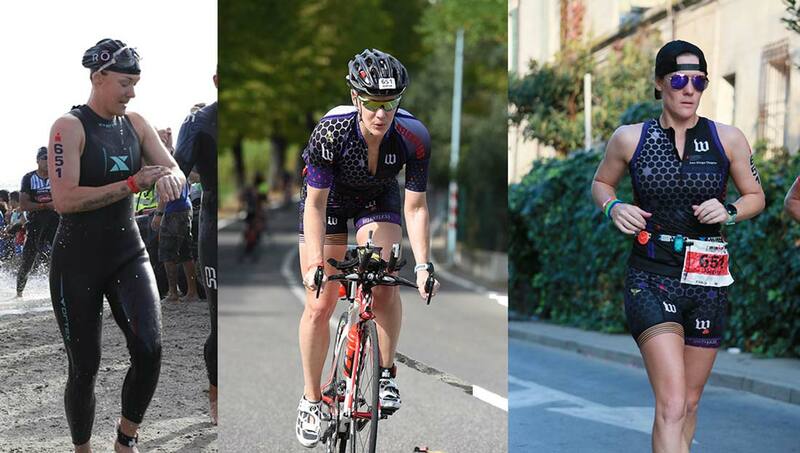 Experience – Does your client have Ironman or other racing experience? Because this was only my second time racing the Ironman distance, I wasn’t exactly an experienced Ironman athlete, but I am an experienced triathlete and athlete, in general. Years of collegiate athletics prepared me for many of the mental challenges that come with Ironman racing. However, for those who are new to the sport, skill development is paramount. “A newbie needs much more skill development actually learning how to swim, bike and run efficiently,” argues Guthrie. “A more seasoned triathlete has a little more skill having participated and trained for previous races.” I was fortunate to have had a lot of experience with the skills of the three sports involved in triathlon, so I was able to focus on improving my technique for improved power over the long distances covered in training for a faster race time. Time Until Race Day – How much time does your client have until race day? In my experience, training for an event for more than six months can lead to mental burnout, so I took my knowledge of exercise physiology and triathlon, as well as my own personal preferences, and developed a six-month plan. Because I have been racing for a number of years, and having been a lifelong athlete, this approach worked for me. New triathletes, however, most likely need more time. Training Time Per Week – How much time per week can be dedicated to training? Like Guthrie, I am a big believer in quality over quantity. She believes that eight hours is the minimum amount of time required time per week (with a max of 20 hours) for an Ironman training schedule. However, spending those hours guessing at the effort that should be exerted is not a good use of training time. “If you are not assessing, you are guessing, and guessing during an Ironman may not enable you to get across the finish line,” explains Guthrie. By testing swim, bike and run fitness through field tests such as 100-meter repeats, time trials and track intervals (respectively) as a coach, you can assess the athlete in real time and adjust his or her training program accordingly. Because I was acting as my own coach during this training plan, I found it best to use my workouts as my assessments and track my progress from one week to the next using heart rate and speed data from my Garmin multisport watch. Profession – What does your client do for a living? “Everyone handles stress differently and triathlon is a stressor just like work, family, etc.,” says Guthrie. I have a full-time job with the American Council on Exercise that requires me to spend most days at a desk or in meetings looking over content. As is true for many people, performing regular physical activity helps me to positively handle the moderate levels of stress I experience. For this reason, I look forward to my workouts after work rather than dread them. It’s important to help your clients take into account things such as work travel or other times when they won’t have access to a pool or a bike and alter their training plans accordingly. Family – What does your client’s home life include (e.g., spouse, partner or children)? “In the big scheme of things, family is more important than triathlon,” argues Guthrie. “Many of my athletes have a hard time seeing that. They get so caught up in the sport it almost, or actually does, become an addiction, and families and relationships can be lost and destroyed. It is a very real truth in the sport that not many people talk about.” Guthrie recommends that athletes include their families in the process and share with them the excitement they have about the sport. “Share your goals and dreams and come up with a balanced schedule and routine that satisfies everyone’s needs,” Guthrie urges. Nutrition – Does your client’s diet provide adequate fuel and nutrition to sustain his or her training? This is the point at which referring your client to an appropriate nutrition professional for evaluation and recommendations is essential. To determine my own nutritional needs while training for and completing an Ironman triathlon, I turned to Justin Robinson, USAT Certified Coach, registered dietitian, Board Certified Specialist in Sports Dietetics and Certified Strength and Conditioning Specialist. Much like creating a training plan, it is a good idea to take a few things into consideration before developing a nutritional plan. “Is the athlete checking an item off of the bucket list, improving on a previous race, or attempting to podium in his or her age group?” asks Robinson. “Each of these goals requires a different strategy and, therefore, different nutritional techniques.” To meet my goal of setting a new personal record, for example, I had to ensure I was obtaining proper fuel so I could perform my workouts at an intensity that would help improve my speed over the long duration. Robinson also recommends taking the following factors into consideration: body-weight and body-composition goals, metabolic type (i.e., fat burner vs. carb burner), sweat rate and nutritional issues or concerns during previous races. Many registered dietitians and sports dietitians, like Robinson, also recommend practicing nutritional strategies and having a contingency plan for race day should things happen (and things do happen) that are not ideal. “Map out what you will do if you spill your bottle of race-day hydration during a transition or drop an energy bar on the bike. Practicing not only your plan A, but also your plans B and C will significantly ease race-day anxiety,” asserts Robinson. For me, race day was a destination event, as I chose a location more than 6,000 miles away: picturesque Cervia, Italy. Fortunately, the weather would be similar to where I live and train in Southern California. However, this is not always the case. Robinson recommends being acutely aware of weather, especially if the environment is considerably hotter or more humid than you’re used to. In this situation, it would be wise for the athlete to plan on consuming one-and-a-half to two times (150-200%) of his or her typical fluids and two to three times his or her typical sodium intake. Another key component of training for an Ironman is recovery. As is the case with strength training, adaptations to an Ironman training program don’t happen during exercise—they occur during the recovery process as the body rebuilds. As I mentioned earlier, I tend to need a bit more recovery than most, and sleep is an integral component of an athlete’s recovery protocol. To understand the importance of sleep for an athlete’s recovery, I turned to Sam Berry, ACE Master Trainer and sports performance coach. According to Knufinke (2018), long-term decreased sleep quantity (fewer than 7 hours per night) and quality (less than 30% of total sleep time in deep sleep) can prove to be costly to performance and the ability for the body to recover from training and performance. This certainly was true for me—when I slept fewer than 7 hours on any given night, I was unable to perform my workouts with the same effort and motivation I was able to achieve following a full eight to nine hours of sleep. Throughout my training, I made sure to sleep no less than 7 hours each night. If I wasn’t able to get sufficient sleep, I moved my morning training sessions or even skipped them so that I could make sure my sleep stayed on track. Another study examining the links between sleep and stress hormone responses to training and competition in elite female athletes found that salivary cortisol levels were significantly higher, and sleep quantity and quality were significantly reduced, following competition when compared to training and rest days (O’Donnell et al., 2018). I’ll discuss this in greater detail in Part 2 of this series, which covers my post-race recovery following the Ironman. The last few aspects of my recovery program included massage therapy, chiropractic care and Yin yoga. As an Ironman athlete putting in long miles during which tissue damage can occur, I believe these techniques kept my body from experiencing an injury during my entire training program. Massage therapist Claire Johnson from The Body Remedy in San Diego, Calif., reiterates the importance of including massage as a part of an athlete’s program. “Due to the volume of sport-specific training experienced by Ironman athletes (swim, bike, run), massage therapy is a vital component of their training regime,” explains Johnson. “Just like any machine, the body requires more maintenance with increased use. Regular body work is beneficial for these athletes to address increased muscle/fascial restriction before it gets too out of hand. [It also helps] aid in more speedy recovery between increasingly intense training sessions.” Johnson recommends combining an individual’s favorite recovery modalities on a day before a recovery day off, so the athlete can receive the full benefits of each therapy. As I was planning my program, I followed Johnson’s recommendations and scheduled monthly massages and incorporated other types of recovery such as chiropractic care and yoga. 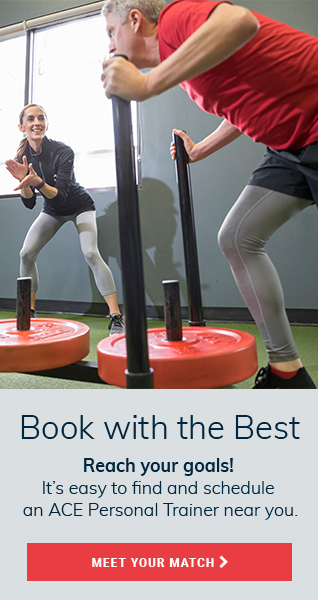 Dr. Alison Adamczyk and Dr. Kathryn Fox, cofounders of Spinal Connection in San Diego, Calif., agreed with this approach and helped me to maintain my mobility and alignment during the long training weeks. For my recovery program, I integrated chiropractic appointments on Monday mornings after long training weekends. To end my full day of recovery, I attended a Yin yoga class led by Tierney St. John Lawson, E-RYT, who is experienced in adapting yoga practices for specialized populations, including athletes interested in optimizing their performance. I found the Yin class to be a great way to unwind mentally from the long weekend workouts, as it is a "much slower, deeper and more introspective [experience]," according to Lawson. From a physical perspective, this practice is distinctly different than a traditional vinyasa or even hatha class, which was the reason I selected it to round out my day of recovery. "Yin postures tend to be low to the ground so that the weight of the body, as well as time and gravity, allows the student to remain passively in a posture for anywere from three to 20 minutes," explains Lawson. Throughout the program it also became clear that Yin yoga was a great way for me to counteract the repetitive stresses associated with the long weeks of training that can sometimes lead to achy and stiff joints. Lawson agrees: "Yin practice can have a profound effect on athletic performance, injury performance and overall recovery time." Further recent evidence suggests that Yin yoga has the potential to positively affect psychological and physiological health, such as reducing anxiety and depressive symptoms in individuals who are highly stressed. You can view Crockford’s full training plan here. In Part 2 of this series, she describes her race-day experience and how she approached the post-race recovery process. Daukantaite, D. et al. (2018). Five-week Yin yoga-based interventions decreased plasma adrenomedullin and increased psychological health in stressed adults: A randomized controlled trial. PLoS ONE, 13, 7, e0200518. O'Donnell, S. et al (2018). Sleep and stress hormone responses to training and competition in elite female athletes. European Journal of Sport Science, 18, 5, 611-618. Knufinke, M. et al. (2018). Effects of natural between-days variation in sleep on elite athletes' psychomotor vigilance and sport-specific measures of performance. Journal of Sports Science and Medicine, 17, 4, 515-524. 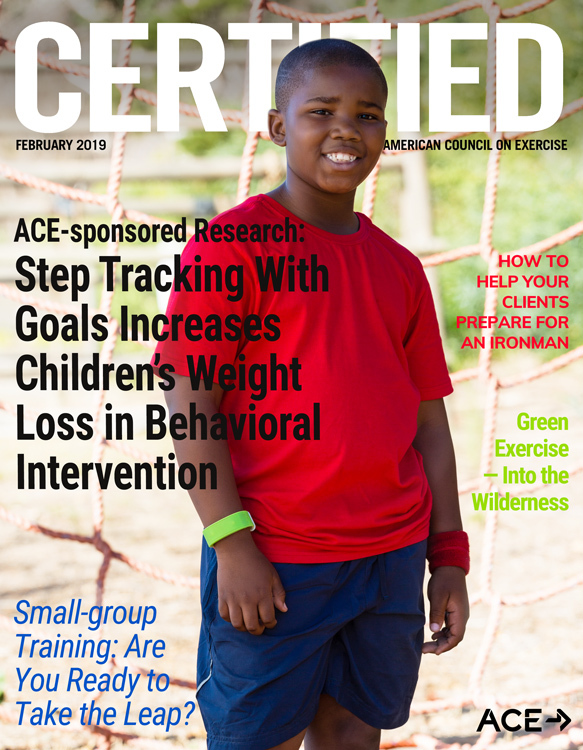 Certified™ is a free online monthly publication from ACE designed to equip certified fitness professionals and health professionals alike with the knowledge they need to continue growing. Yes! I'd like to receive Certified™, ACE's free online monthly publication for health and fitness professionals. 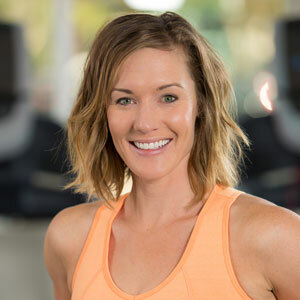 Jacque Crockford, MS, CSCS, is an ACE Certified Personal Trainer and Exercise Physiology Content Manager at ACE. She has been a personal trainer and performance coach for over 14 years. Jacque grew up in the fitness industry, participating in YMCA sports and teaching gymnastics and swimming from a young age. She was on Kansas State University’s women’s rowing team, and she currently competes in triathlons throughout the country. Jacque has been featured in several publications, including LA Times, New York Post, Health, USA Triathlon, SHAPE and Women’s Health. For clients who have less experience competing in triathlons or similar events, what is the most important aspect of their training? According to experts consulted for this article, what is the ideal training time for a client who wants to successfully compete in his or her first Ironman? According to experts consulted for this article, what is the minimum and maximum amount of recommended time per week for an Ironman training schedule? According to Knufinke (2018), ________________ can prove to be costly to performance and the ability for the body to recover from training and performance.